Samsung has done it again! 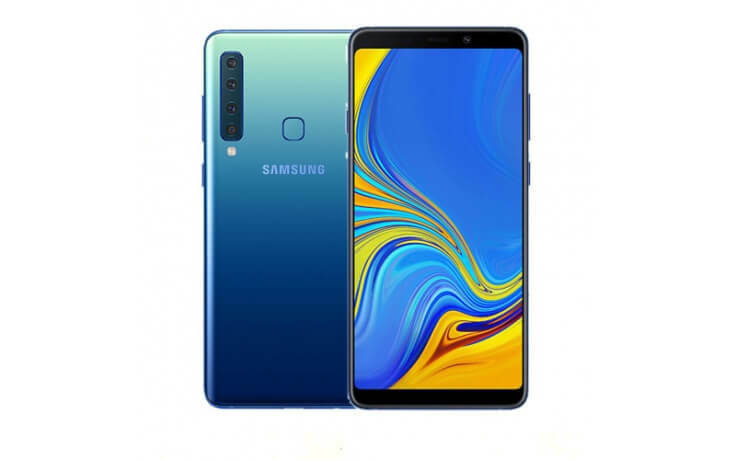 Their new strategy of making smartphones that will have all the flagship features at a mid-range budget is hyping up the young generation. 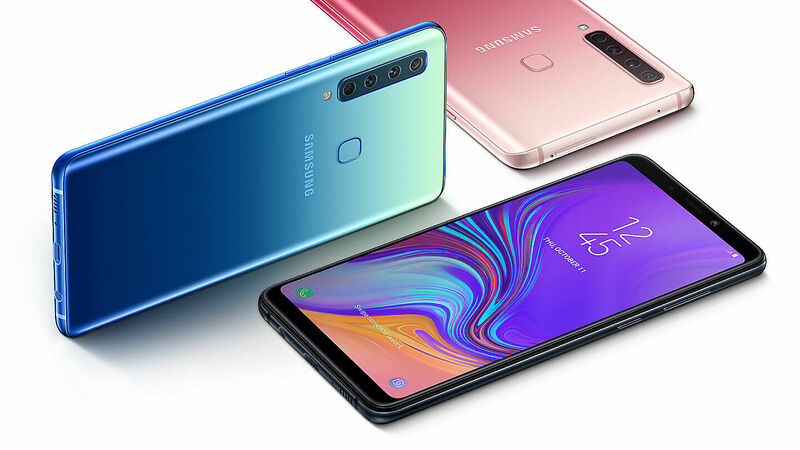 The new Galaxy A9 comes with five cameras, making it the ultimate choice for Instagram lovers. Let’s dive into the specs and features of this performance beast. 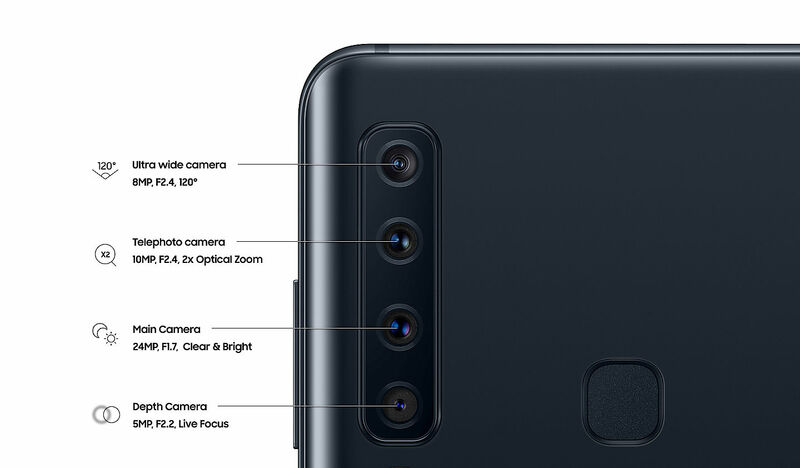 Meet the world’s first four rear camera smartphone with Ultra-wide, Telephoto, 24MP, and Depth cameras that has the power to capture some of the most beautiful shots on different occasions. It also has a powerful front camera. The camera setup comes with Flaw Detection and Scene Optimizer, meaning you will be able to capture enhanced images in the blink of an eye. The stylish and sleek design of the new Galaxy A9 will give you a nice, comfortable grip. Your smartphone will be the center of attention wherever you carry it around. The eye-catching 3D rear glass back casing bends together with the design and functionality flawlessly. It comes in three different colors: Lemonade Blue, Caviar Black, and Bubblegum Pink. 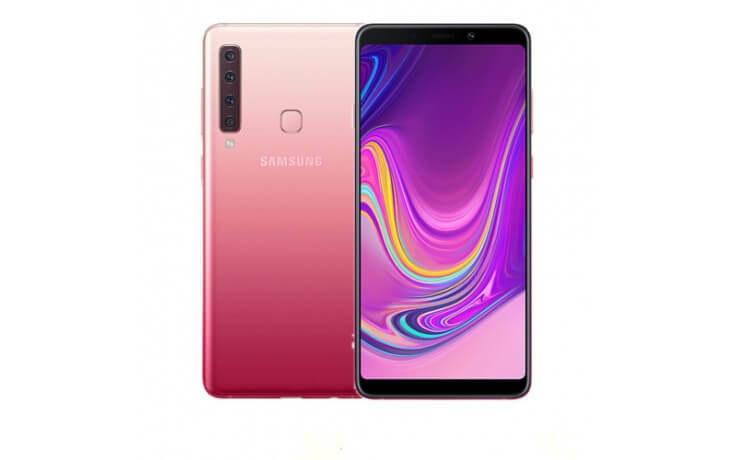 Embrace the beauty and brilliance of the 6.3-inch FHD+ Super AMOLED Infinite Display with sharper contrast and more dynamic color that gives you an immersive viewing experience. Everything you see on the screen is vivid. 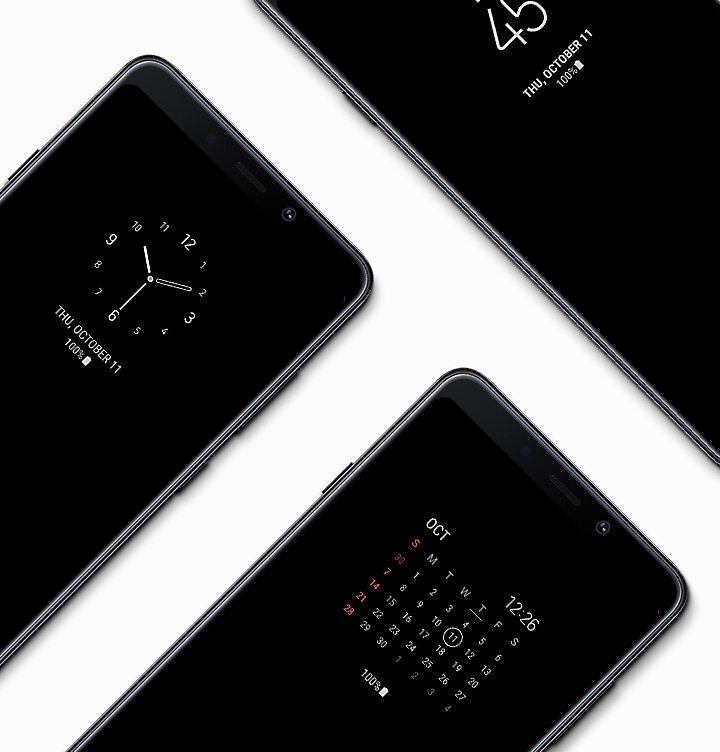 The “Always on Display” feature in the Galaxy A9 gives you the ability to stay up to date with all the information and essential updates like weather alerts, date & time, quick incoming notification, etc. so you don’t miss out on anything. 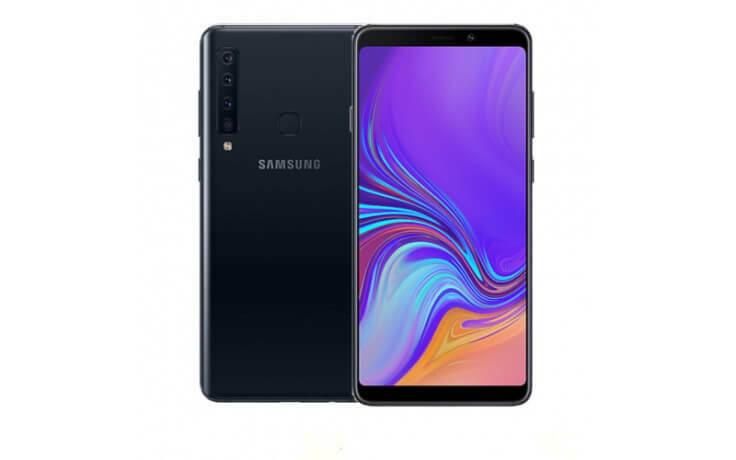 The Galaxy A9 smartphone isn’t rocking only a quad rear camera setup, it’s a powerhouse with the Snapdragon 660 processor, along with 6GB of RAM that gives you a highly responsive user-experience and makes your day-to-day multitasking easier than ever. Don’t cheap out on storing more data on your phone. Take more photos and videos and store them inside your phone for easy access as you have 128 GB of internal memory with the Galaxy A9 smartphone. But that isn’t the limit. 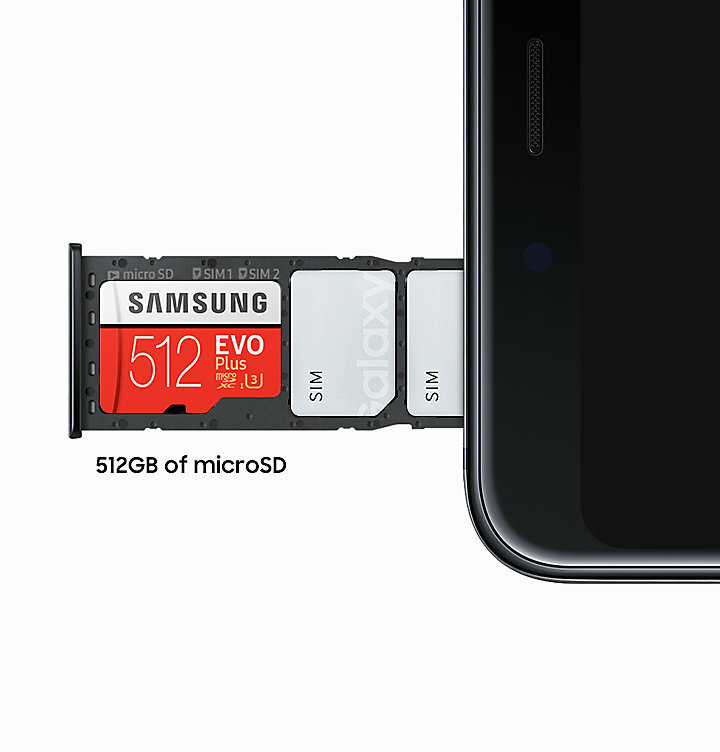 You can expand up to 512 GB of storage via microSD card. 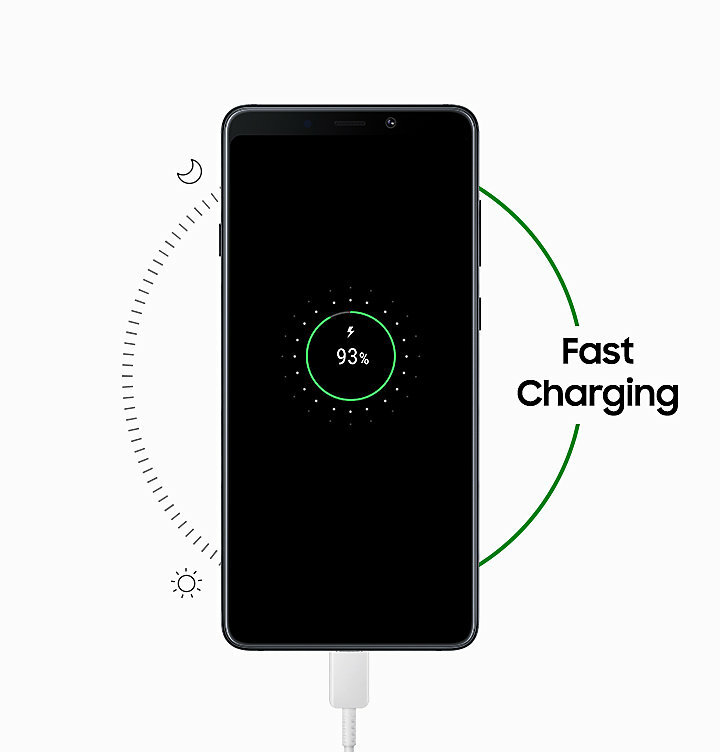 Galaxy A9 supports fast-charging for its 3,800mAh battery, meaning you will enjoy long hours even on heavy usage, and recharge your phone quickly afterward. Its USB Type-C compatibility benefits you even more.